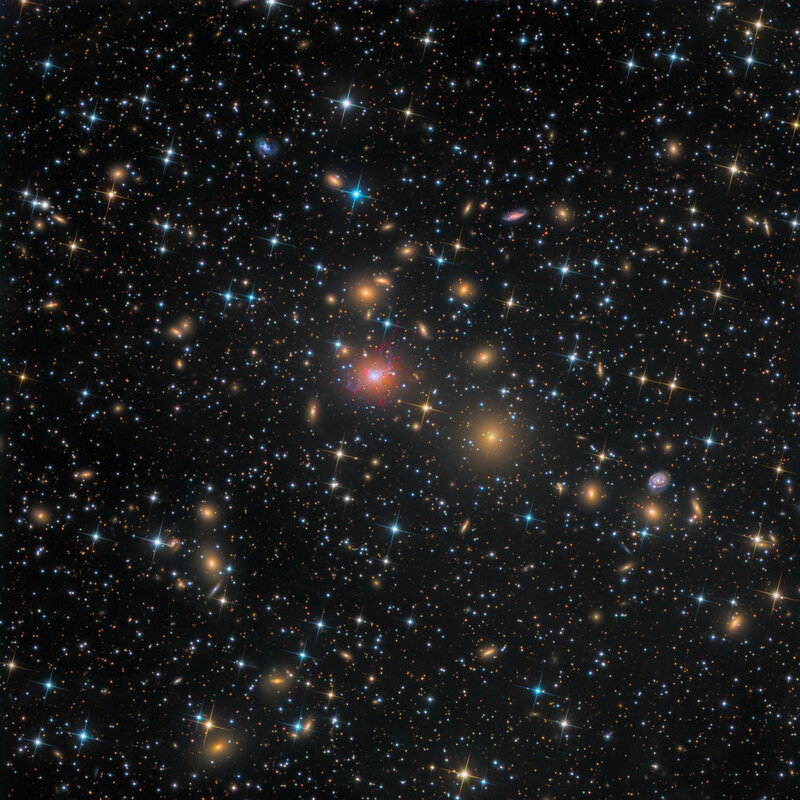 The Perseus Cluster (Abell 426), located 237 million light-years away in the constellation of Perseus, contains thousands of galaxies immersed in a vast cloud of multi-million degree gas. 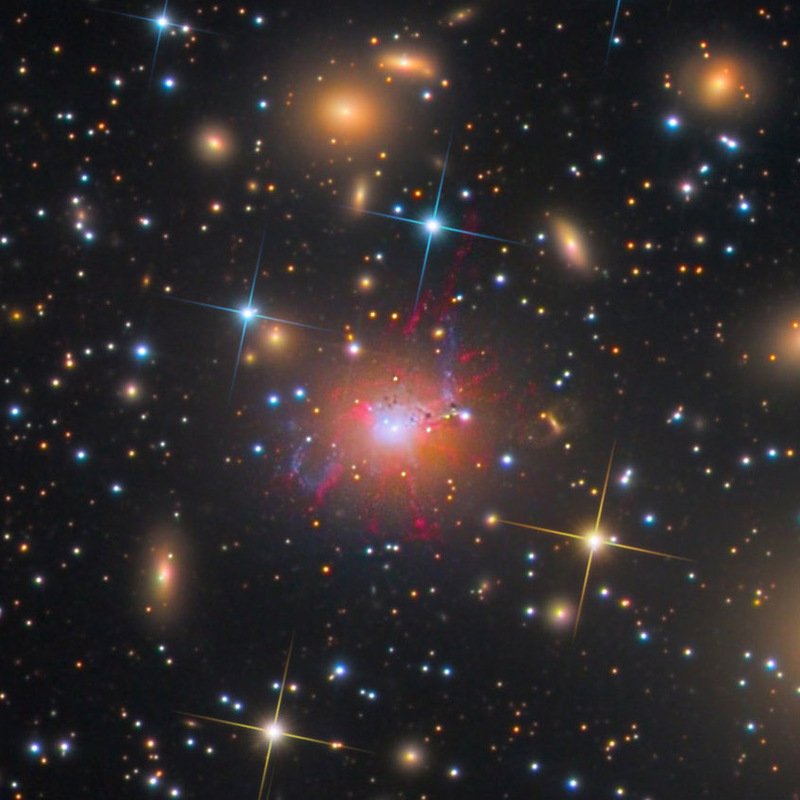 Near the cluster center is the cluster’s dominant galaxy NGC 1275 (also known as Perseus A). Open the Full Rez file and look around at all the galaxys! its incredible.